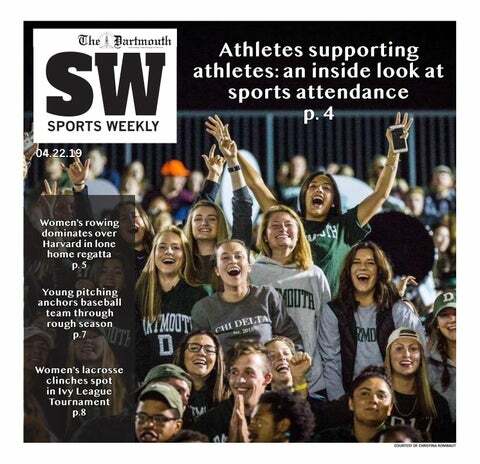 Dartmouth’s Greek life is constantly in a state of flux. Conversations revolve around whether the system is inclusive, safe, welcoming for all and how we might improve upon it. The intersection between sexuality and Greek life manifests in the way that Greek life is sometimes discussed here at Dartmouth. The national versus local sorority debate lies in the foreground, with buzzwords like “female-dominated social spaces” that indicate efforts to equalize the power between men and women within the Greek system. How do sexuality and Greek life coincide here at Dartmouth? A few individuals share their experiences here, capturing just a snapshot of Greek life at Dartmouth. Alyssa Jorgensen ’17 described her personal experience with Greek life as a queer woman. Jorgensen emphasized the subjectivity of her perspective. When asked to weigh in on the inclusivity of the Greek system, Jorgensen emphasized that, while Dartmouth Greek life is inclusive to an extent, there is still progress to be made. Ashley Zepeda ’18 discussed her own perceptions of inclusivity within Greek life. Zepeda explained that finding her own niche within the Greek system has been difficult, at times. Alex Brown ’19 also said he has felt very included within the Greek system as a gay man. Jessica King Fredel ’17 said she feels the Greek system creates space for diversity. King Fredel said that the Greek system can perpetuate gender norms in that it sets up social spaces to be inherently sexualized. In most cases, men control the “mainstream” social spaces and the access to alcohol in these spaces. King Fredel explained that simply changing the setting does not remove gendered power dynamics — a crucial point to remember. When asked whether Greek life pressures participants to conform to gender-based stereotypes, Brown disagreed. “I think if we get away from treating these institutions as a blanket group that has this name that we can attribute all these false and negative attributes to and actually consider them as a group of individuals — intelligent, different, unique, individuals who all were admitted to Dartmouth College and just want an experience to share with a group of individuals — I think once we start doing that, you can peel back the layers of judgment and misconception that consistently plague the Greek system,” Brown said. He stressed the importance of eliminating certain stigmas about Greek life as a whole and instead highlighting its positive aspects, such as the support system that Zepeda mentioned. “Fraternities and sororities are just groups of the same students who they admitted to the school, who find friendship and support in one another within the Greek system,” Brown said.